The U.S. has repeated its stance that North Korea's denuclearization must come before the establishment of a peace regime on the Korean Peninsula. 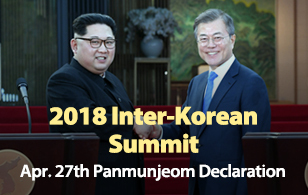 The reaffirmation follows a CNN report that the North wants the U.S. to make a "bold move" and agree to a peace treaty to officially end the Korean War as part of measures to guarantee the regime's safety. 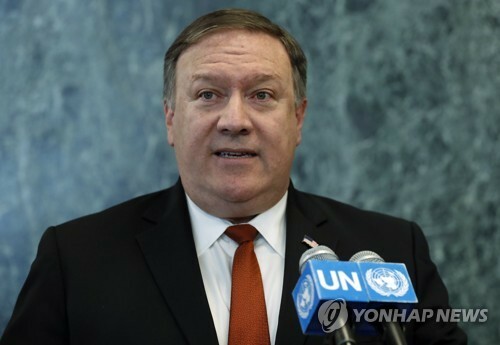 In response to Yonhap News' question about Washington's position on the issue, a State Department spokesperson on Monday said that the U.S. is adhering to its stance of establishing a peace regime and replacing the Korean War armistice with a peace treaty only when Pyongyang fully denuclearizes itself. The official said that establishing peace on the Korean Peninsula is a goal shared around the world, but that the international community has made it clear that living with a nuclear-armed North Korea should not be an option.